Blockchain might just be a technical jargon however it has a significant role to play in helping the world go cashless. The cashless payment technology like physical cards, online payment options, digital wallet and mobile apps is possible only through a smart technology which gives convenience at every state. Hence Blockchain is one of those inventions which have transformed the way mobile apps used to function. 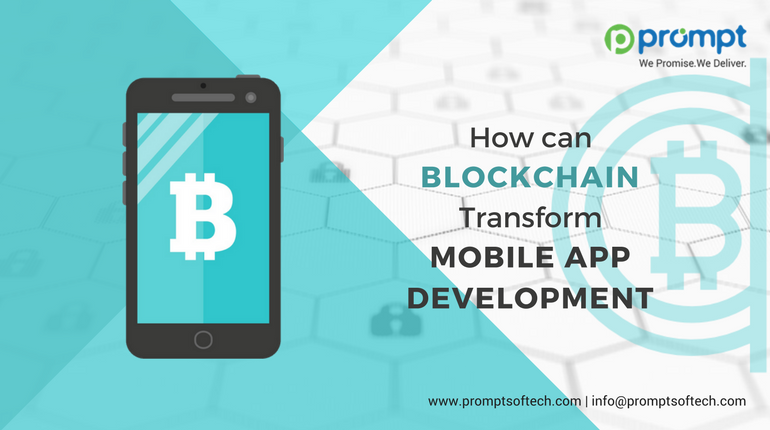 In order to get an efficient mobile app using Blockchain, it is vital to hire professional mobile app developers in India. Hiring mobile app development services from India will prove to be quite reasonable compared to other developers from other countries. Blockchain and cryptocurrencies are on the verge of taking over the money market soon, and it will quickly cover a massive proportion of that sector. This may seem to be wavering however we cannot deny the fact that more and more people are trying to go cashless. Let us make the newbies aware that Blockchain is nothing but a simple distribution ledger or a transaction record which is shared by members of the network. This process is similar to an undisputable record which tracks and records all the transactions made on the system. Let us have a look at how Blockchain technology has taken over the era and have given the convenience of making payment without offering cash. The invention of cryptocurrency directly or indirectly challenges fiat currencies. Today Bitcoin is the high valued currency this is a clear example of the significant impact it has created on the market in less than a decade. With more and more people accepting cryptocurrencies retailers are happily receiving payments through such mediums. Countries who are accepting cryptocurrencies as legal means of payment is growing drastically. Plastic cards were once considered as a mobile wallet. Cryptocurrency backed wallet does not require account linking and is easy to use compared to the card funded wallet. Blockchain mobile wallets act as a saviour; its mobile wallet feature serves as a platform for managing your money. Cryptopsy allows users to store and organize their bitcoins systematically. Hence users can quickly send and receive bitcoins through their account and sell their bitcoins for other currencies. This surely a bold move which if adopted successfully will prove to be a great success. Since cryptocurrency is not a standard technology, there might be problems in recognizing Blockchain wallet developers. Outsourcing to mobile app development services India for Blockchain application development and wallet integration is an ideal choice this will include Bitcoin for iOS and Android both. The blockchain is an essential mechanism for transacting across the border. The traditional transactions are taken up through banks and clearing houses whereas blockchain transactions happen right within the system. So, the transactions through blockchain occur more quickly without any delay. Since blockchain transactions happen over a centralized infrastructure, there seems to be less maintenance and management cost hence service providers can charge a minimal amount compared to other competitors. The shipping industry uses blockchain technology to keep track of the progress of the goods shipped. This will include the status of container and documents and various other items. Apart from of its use as a public ledger, one of the prime revolutions that the blockchain could bring in this industry is the “smart contracts”. These are contracts in the medium of a software program which is executed in blockchain independently and which automatedly gets implemented on the decided terms and conditions of signed agreements between the business parties. This is taking the shipping industry towards a digital market where the owner will publish a bond, and the other business party will negotiate the prices or the freight directly through the blockchain network. Then, the smart contracts will be implemented by a software network that utilizes the consensus protocols to frame the sequence of actions which comes from the contract’s code and in this way the overall calculations, approvals and transactions are automatedly executed. The advent of blockchain improves the way EHR industry used to work by creating a network of multiple members where they can enter data and update records at the same time. The security angle of blockchain ensures that only verified members can access the information. Patients will be empowered with full control over their records. They can anytime authorize caregivers and other parties to access their health records. Cryptography is a unique feature of encrypting data hence making sure that people who are not authorized do not have access to sensitive data. The invention of blockchain is innovative, and it is there to transform the way money has been managed so far. Blockchain has quite a lot of potential and will be able to sustain in future. Companies that offer mobile app development services in India have already paced their services with the future prediction of technologies which have the capability of transforming our lives and how we manage our money. We already have a rough idea of how blockchain will transform the business perspective and the way it will be pursued, however, these changes will not happen overnight. Businesses need to oversee the business structure and strategies. The foremost thing will understand blockchain itself. You can consult mobile app developers in India to get an overview. Prompt Softech is a leading software development company and mobile app development services provider from India. They offer advanced solutions to an extensive range of small, medium-sized and large-scale enterprises. The company experts continuously seek balance amid technology, design and innovative ideas. They have delivered advanced products, engaging customer experiences and excellent solutions for their loyal clients across the globe. Proven technology capabilities, eminence in software development standards and competent delivery procedures makes the company a trusted global partner for a new as well as an innovative era.